Parallels Access Web Console: how to copy-paste text? - I am using Parallels&reg; Access&trade; Web Console and I need to copy text from local machine to the remote one (and vice versa). 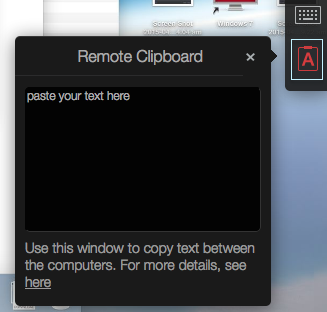 Once the text is pasted to the Remote Clipboard it will be automatically saved in the remote machine's clipboard. 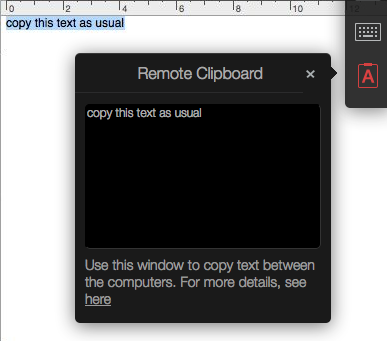 NOTE: Text data can be copied only using Parallels Access Remote Clipboard.